Apple's patent war: What does it mean for the mobile market? The patent war between Apple and Samsung is still raging, across multiple territories. But a California court’s ruling on three specific iOS software patents 10 days ago marked a major victory for the Cupertino-based company. Sure, the $1 billion fine imposed on Samsung for infringing Apple’s patents is a drop in the ocean if you consider the South Korean company makes roughly $10bn in profits per quarter. But the implications of the verdict will likely send shockwaves throughout the smartphone and tablet industry that will be felt for some time. Remember, Apple is not just waging a war against Samsung. 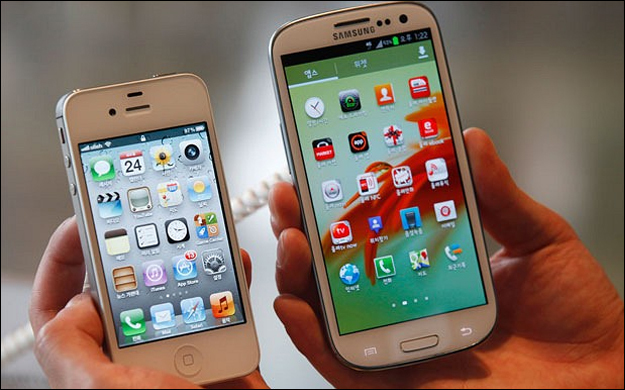 Apple is primarily attacking Google’s Android mobile operating system. In his last biography Steve Jobs made it very clear that he believes Android is a “stolen product” and that he would use every penny in Apple’s 40bn savings to launch a “thermo-nuclear war” against Google. But instead of attacking Google, Apple has played the much smarter card of fighting a proxy war against Android’s manufacturers. Apple has proven its argument against Android is powerful enough to deliver a favourable verdict in court. Not only that, but it’s proved its case against Samsung – the biggest mobile manufacturer in the world. If Samsung, with all its resources, money and lawyers, cannot defeat Apple, then what chance do smaller Android manufacturers such as LG and ZTE have? Not to mention cash-strapped HTC and Sony. In fact, HTC and Motorola are already facing lawsuits from Apple and instead of fighting, they are now likely to settle. How will this impact Android? Well, firstly you’ll definitely see cosmetic changes to the user interface. Most manufacturers have ditched the ‘bounce back’ scrolling feature that Apple successfully proved Samsung plagarised and you can also expect to see changes when it comes to double tap to zoom and multi-touch scrolling behaviour. Given that Apple also proved that Samsung copied its hardware design, there will likely be a more concerted effort to differentiate the shape of Android smartphones from the iPhone’s designs. Moreover, the court victory will almost certainly spur Android manufacturers into taking a less derivative approach to software and hardware design. This could be good for the consumer, but it could also drive up costs. The big winners here – other than Apple – could well be Microsoft and RIM, as more manufacturers look toward Windows Phone as a safer choice (and BlackBerry if RIM licenses out the OS as rumours suggest). But Google will obviously not take Apple’s offensive lying down. If there was any doubt that Google’s purchase of Motorola earlier in the year was a defensive strategy against Apple, then there’s none now. Last week Google used a number of Motorola patents to launch a fresh lawsuit against Apple, seeking to ban virtually every iOS product on the market. It’s hard to believe it, but the mobile patent war is about to get even uglier.